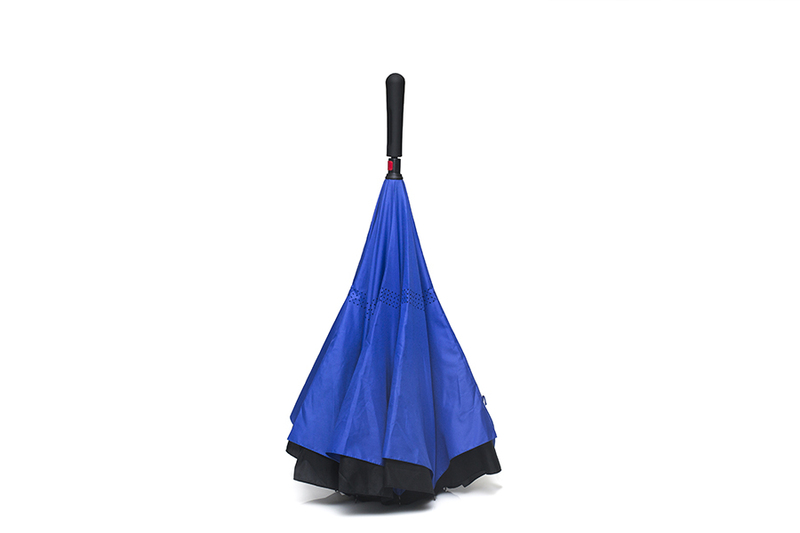 Kleva Reversi Umbrella prevents drips, leaks and mess! 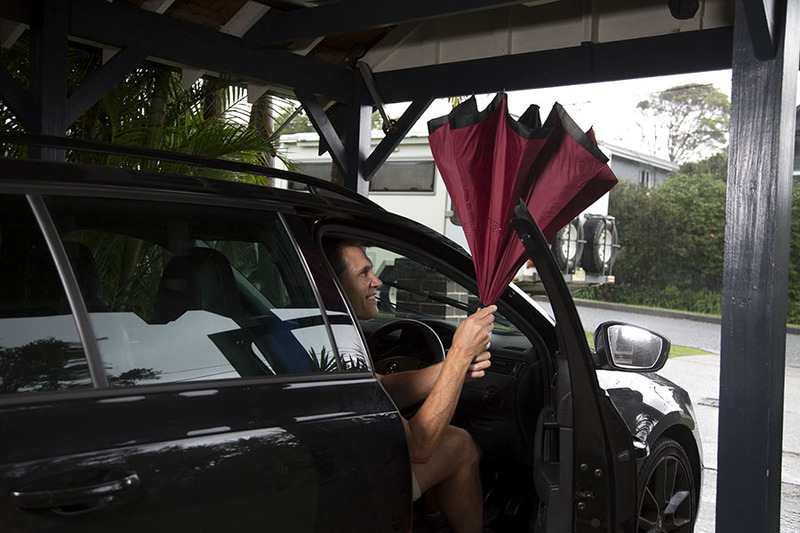 It's reversible design contains the water droplets inside the umbrella, keeping you and your home/car dry! Buy 1 get 1 FREE. 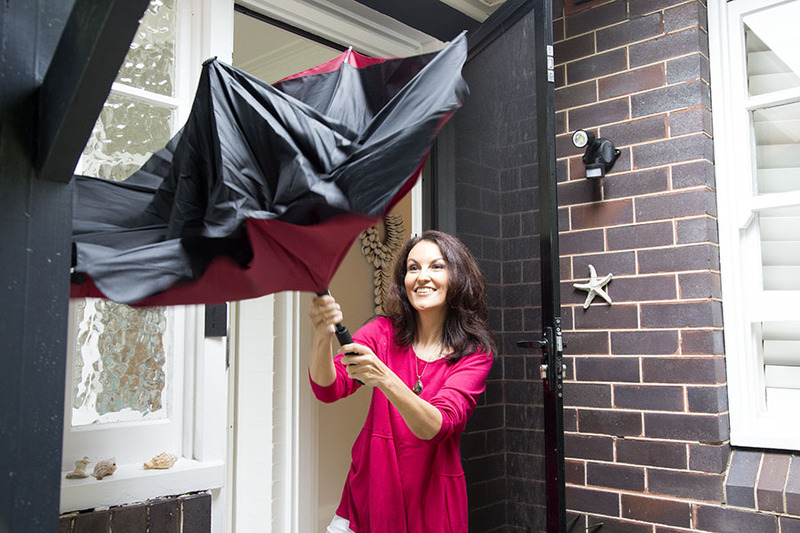 New reversible umbrella that doesn’t drip, leak or cause a mess! 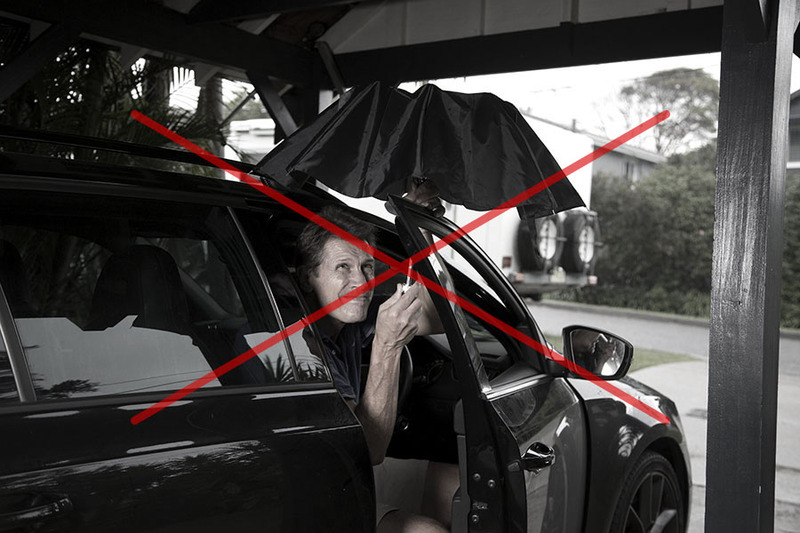 Are you sick of getting into a car from the rain and having to awkwardly put down your umbrella, causing water to go everywhere? Well don’t worry! 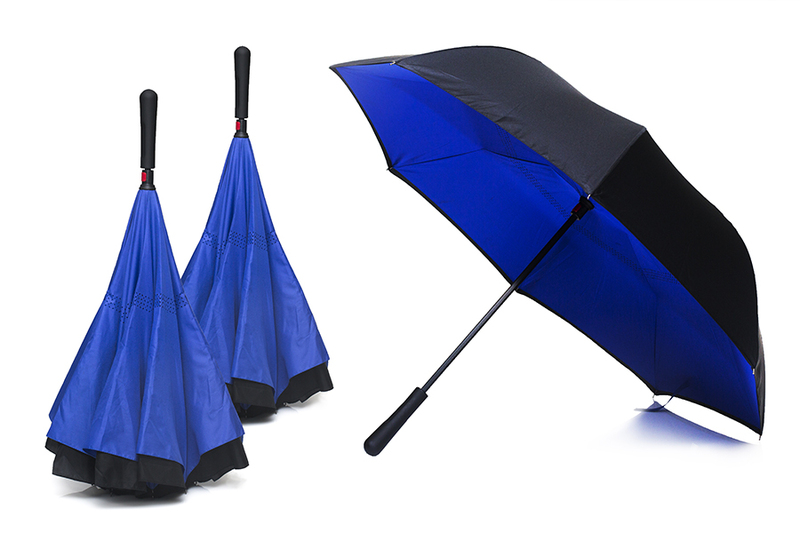 The Kleva Double Layer Reversi Umbrella’s unique design make’s sure that droplets stay outside the umbrella – and off of you! 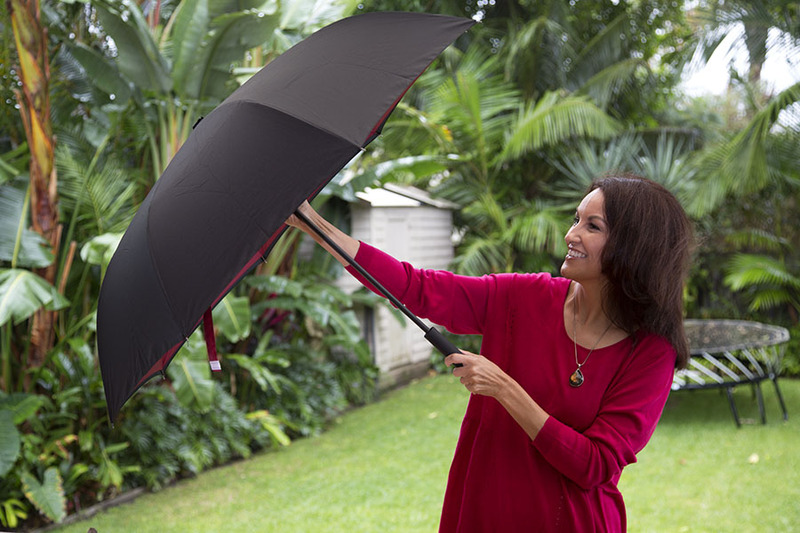 The reversible nature of the Kleva Double Layer Reversi Umbrella makes it so easy to put down, so you stay perfectly dry. 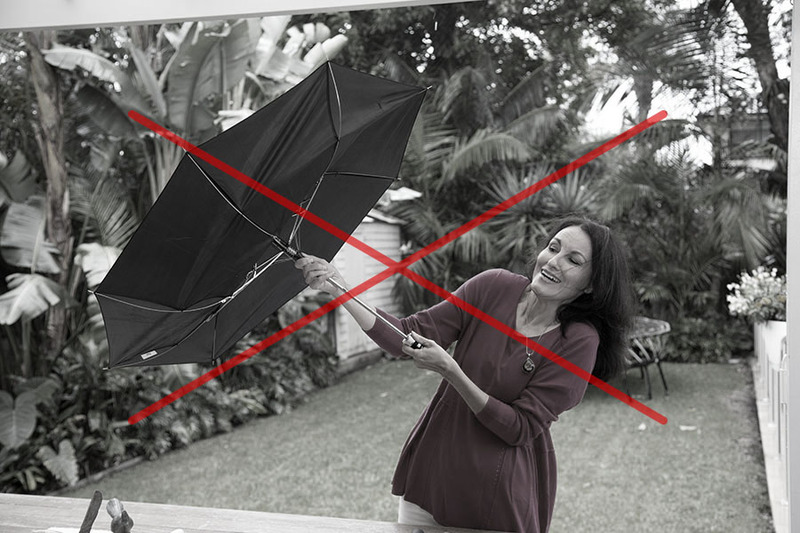 Stop paying ridiculous amounts of money for new, cheaply made umbrellas that keep turning inside out in the wind! 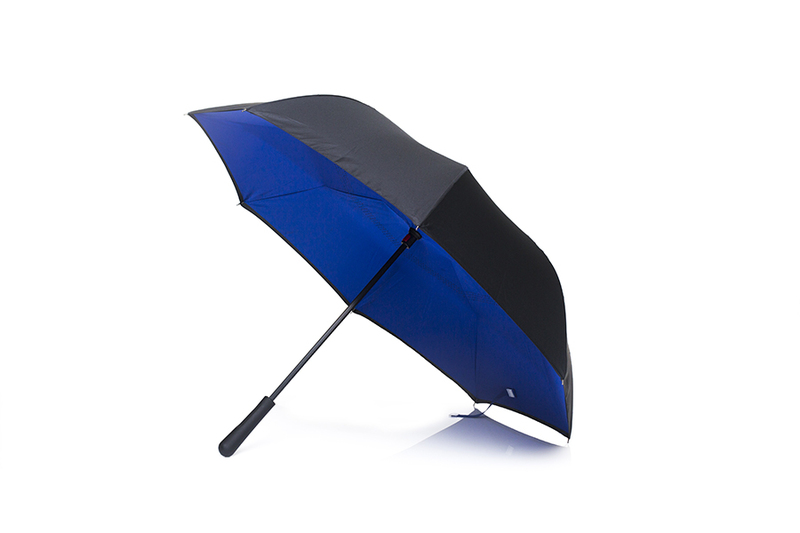 The Kleva Double Layer Reversi Umbrella won’t turn inside out, because it already is! 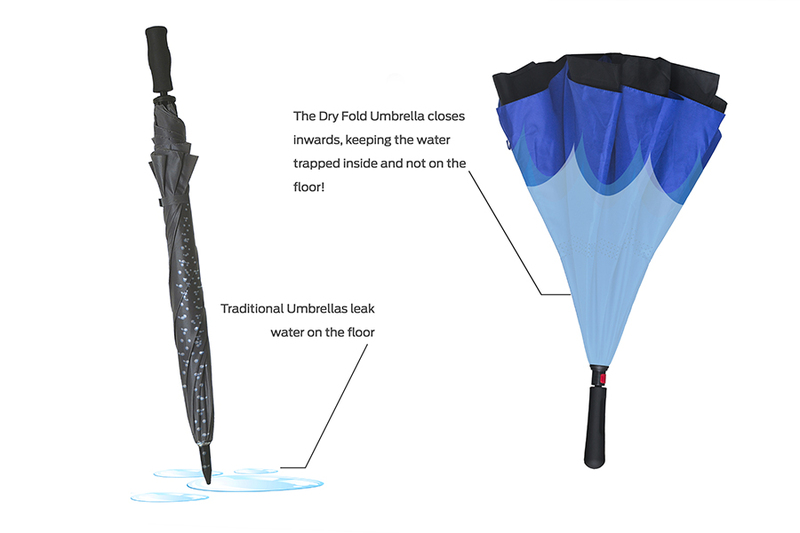 It’s unique design makes it a lot safer than other umbrellas because it won’t dangerously fall in on you, and you stay dry all the time. The clever design means you won’t get splashed with the built up drops of water when you put down your Kleva Double Layer Reversi Umbrella. With the amazing top holding chamber, the built up water won’t go all over the floor when you set it down, keeping every surface dry. 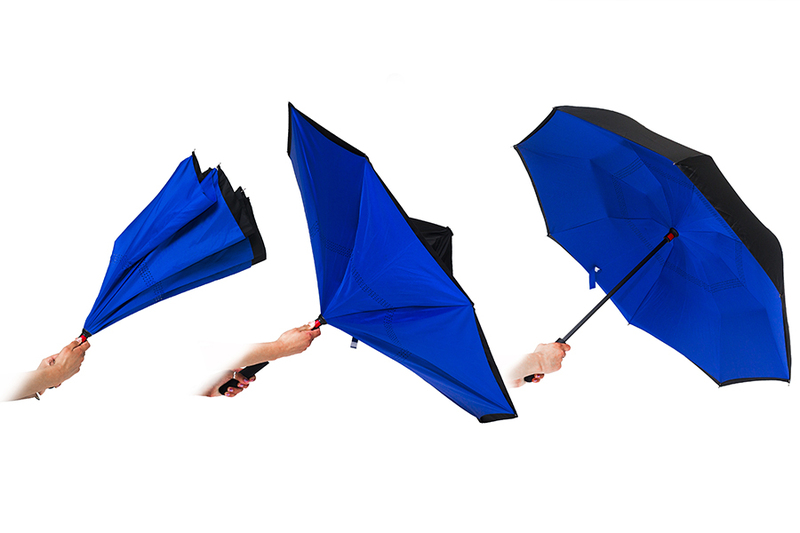 Wind is no longer a problem with the Kleva Double Layer Reversi Umbrella. The reversible feature means it can’t possibly turn inside out! The two toned colour design is stylish and practical. 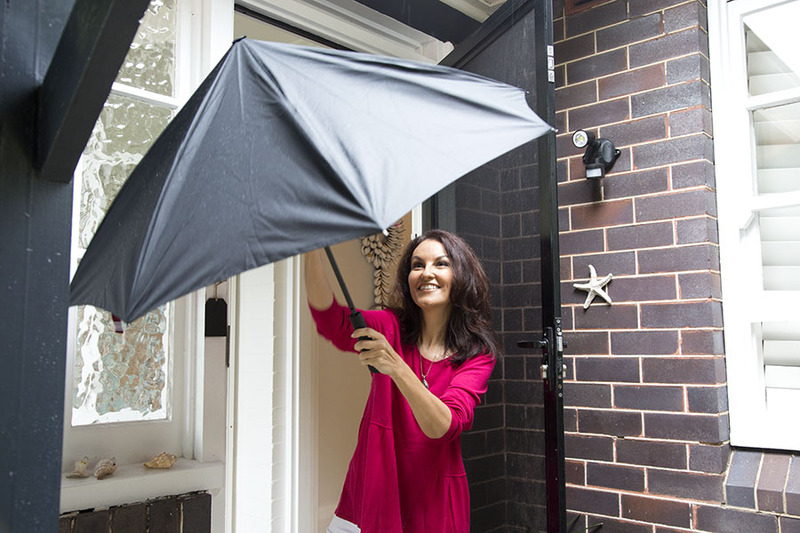 Save yourself from those rainy days, and stay dry the easy way! It stood up to the shade and wind test at the Christmas Carols in the Park. Sister loved hers as a Christmas gift. I went for the 2 for 1 deal so my husband and I didn't have to fight for the umbrella, and we both love them. The design is so sleek and the colours are so nice (blue for me, black for him). He used to drive me crazy by making the porch so wet when shaking his umbrella, but this reversible function has completely changed that. amazing!